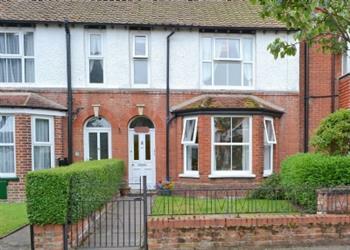 Bethel Cottage in Sheringham sleeps 4 people. 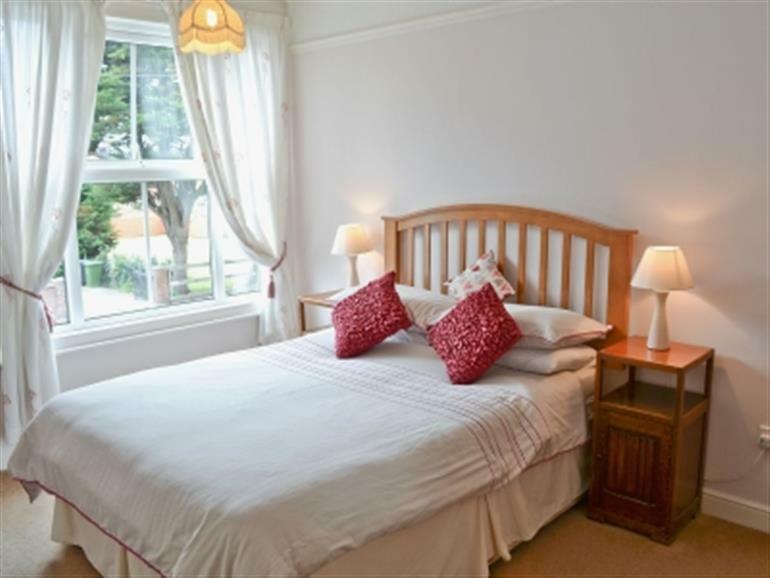 Bethel Cottage in Sheringham first floor holiday apartment comfortably furnished and equipped. The promenade, beach and town centre, with its wealth of shops, cafes and restaurants, are all within easy walking distance. Sheringham is home to the Poppy Line steam railway which visits neighbouring coastal resorts, a leisure pool, cliff top golf course and Sheringham Park (National Trust). RSPB nature and bird reserves, for walking and bird watching, are nearby. Felbrigg and Blickling halls (National Trust) are a short drive. The property is within an hour’s drive of Norwich, with its excellent shopping, theatre, castle museum, cinema, restaurants and cafes. Wroxham, capital of the Norfolk Broads, has daily boat hire, river trips, waterside cafes, restaurants and shops. Other places to visit include Blakeney Quay, 9 miles, Holkham Hall and the picturesque harbour and sandy beach of Wells-next-the-Sea, 19 miles. A beach is 800 yards, with the shop, pub and restaurant all ½ mile from Bethel Cottage in Sheringham. Stairs to entrance. All on first floor: Living room. Dining room/kitchen. 2 bedrooms: 1 double, 1 bunk. Bathroom with shower over bath and toilet. Economy 7 central heating, electricity and bed linen included. Freeview TV. DVD. Electric cooker. Microwave. Fridge/freezer. Shared, enclosed garden. On road parking. No smoking. Holidays at Bethel Cottage in Sheringham run from Holidays run from Friday to Friday. For a better idea of where Bethel Cottage is, you can see Bethel Cottage on the map below. Bethel Cottage is in Norfolk; should you be on the lookout for a special offer, you can find all the special offers in Norfolk. It's always worth checking to see what is on offer at the moment. Do you want to holiday near Bethel Cottage (30140), you can see other cottages within 25 miles of Bethel Cottage; have a look to find your perfect holiday location.